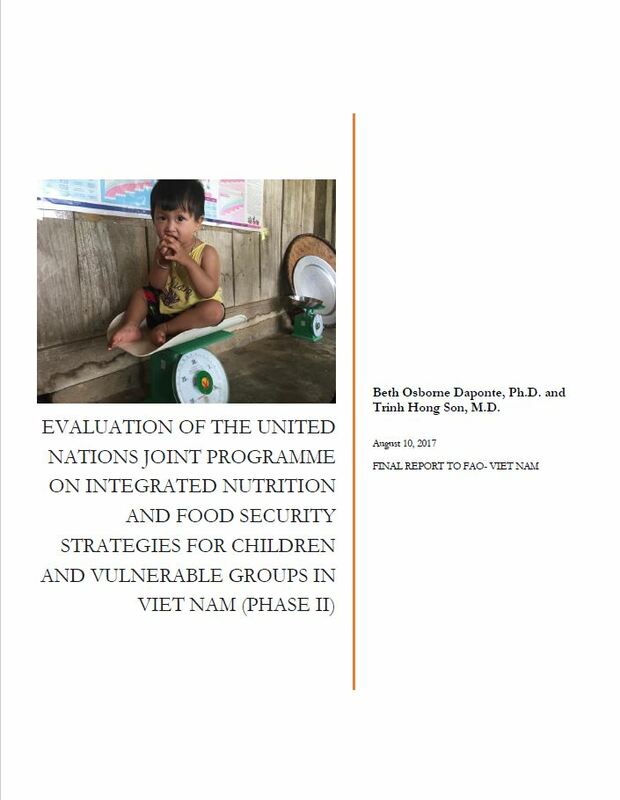 Childhood stunting remains one of the fundamental challenges for improved human development in Viet Nam. 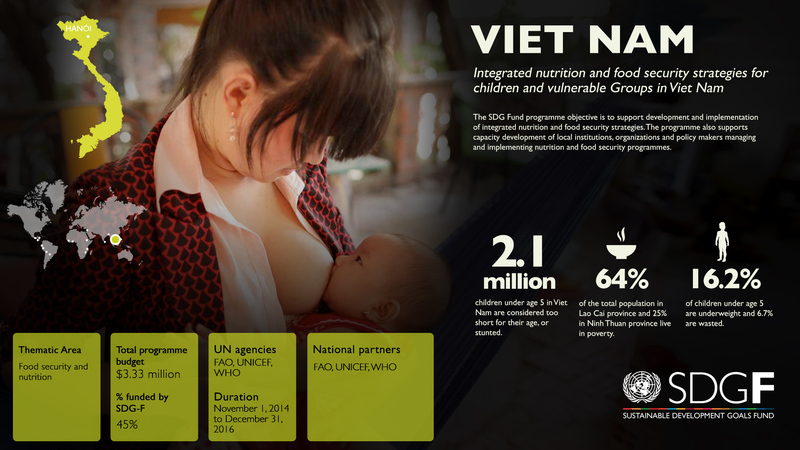 Almost 2.1 million children under age 5 in Viet Nam are considered too short for their age, or stunted. Lao Cai and Ninh Thuan are provinces with poverty rates around double the national average. They also have a high percentage of ethnic minorities. The SDG Fund programme objective is to support development and implementation of integrated nutrition and food security strategies. The programme also supports capacity development of local institutions, organizations and policy makers managing and implementing nutrition and food security programmes. 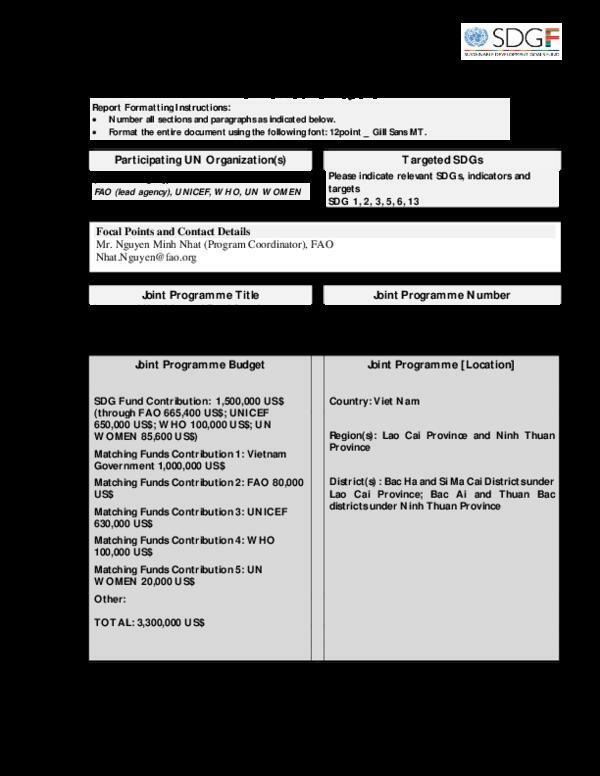 The programme is promoting an integrated nutrition and food security for women and children and vulnerable groups in Viet Nam. 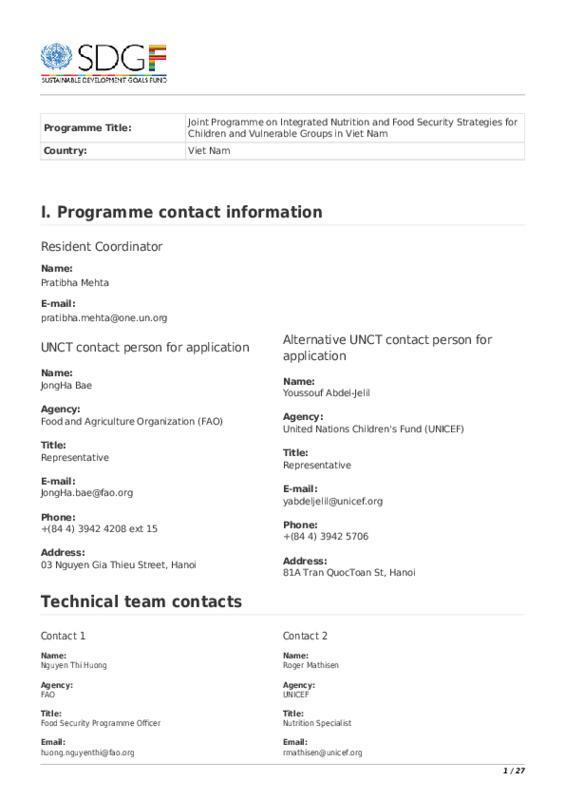 It supports the enforcement of policy framework and monitoring system formulated and approved in a previous MDG-F programme. It targets the most disadvantaged ethnic minorities living in poverty and seeks to reduce their vulnerability. It focuses on supporting the 2 provinces for evidence generation to facilitate national policy changes and scale up of nutrition and food security models. Some 36 million women of reproductive age and 7.1 million boys and girls under 5 in Viet Nam will benefit from the proposed policies, plans and standards generated.